It was six in the morning when my brother shook me awake from my sleep. I got scared, but I was also too groggy to feel any sort of extreme concern. It’s always hard for me to get up early due to the sedation I experience by taking Clozapine, an antipsychotic medication. As much as I wish I could live without it, experience has sadly taught me otherwise. The drug aids in eliminating my voices, tactile hallucinations and paranoid delusions, which otherwise would render me disabled and miserably stifled. With Clozapine, I can work full time as a peer specialist, attend graduate school for social work and freelance as a writer, all simultaneously. Without it, I cycle in and out of hospitals, believing that I am the reincarnation of Beethoven and the Antichrist. I rolled out of bed and went into the living room, where I saw my mother sitting in her favorite plush chair in front of the television. Her eyes were half-open and she spoke groggily and incoherently as if still half-asleep. On the dining room table were her many bottles of vitamins, which she prepares every morning for the entire day. She takes about 30 supplements daily, which help her greatly in having enough energy to get through the day. I wish natural remedies worked for me. “I accidentally took… your… Clozapine instead of my… Benicar.” Benicar is her high blood pressure medication. The 20 mg pill (generic brand) looks almost identical to my 100 mg tab of Clozapine. I was so scared that she was in grave danger. Would she be permanently damaged from this accidental dose? Instantly I thought of how I myself put 400 mg of Clozapine into my body every day. I thought of my own struggles with grogginess, which causes me to easily sleep 11 hours a day, nearly sleeping half of my life away. I don’t feel safe driving a car, so I pay for a lot of Uber cab rides to get to work on time. I felt resentments within me, but then I remembered that no other drug helps me except for Clozapine. 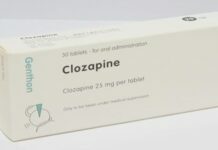 That’s typically the case with Clozapine: it’s prescribed for treatment-resistant schizophrenia. My mother tried to stand up, but she fell back into her chair. My brother tried to assist her by holding her hand to pull her up, but still her legs were too shaky to stand or walk. My mother’s sedated condition reminded me of how Clozapine is not an easy pill to take or manage. I myself started taking it six years ago when I was an inpatient at Zucker Hillside Hospital in Glen Oaks, New York. It took a full six weeks for me to be titrated fully onto a therapeutic-level dose of Clozapine, with psychiatrists monitoring me closely the whole time. The drug is known to cause agranulocytosis for some, resulting in a lowered count of white blood cells (specifically granulocytes) that can cause death. For this reason, regular blood tests are required, and one cannot receive a prescription for Clozapine unless the blood test yields good results. These results then have to be given to the pharmacy. For the first six months, I had a blood test every week. For the next six months, I had a blood test every other week. For the six months after that, and now currently, I get a blood test once every four weeks. Because of the high maintenance that Clozapine requires, there are many psychiatrists and clinics that refuse to offer services to people who take the drug. As I kept my mother company, my brother called our local CVS pharmacy to get advice on what we should do. They were helpful and he soon reported back to us. I felt the fierce love I have for my mother stirring within me like a ball of frustration. It pained me to see her suffer, and I wondered if my family was ever scared at me being similarly groggy every single day. I also worried about my own health deteriorating over time due to Clozapine. A young friend of mine had taken Clozapine for six years before developing myocarditis, a permanent heart condition that causes inflammation which can lead to heart failure. He was forced to discontinue the medication. Another young woman I knew who had seen improvement from the drug then gained over 200 pounds before being taken off of it. Her voices worsened and she ended going to a long-term facility. Sometimes, I get scared that things like this might happen to me. My brother called 911 for my mother, and EMS workers arrived within 15 minutes. They didn’t help her go to the bathroom, but nevertheless they treated her nicely enough, helping her get into a padded wheelchair. My brother went along with her in the ambulance to drive to a nearby hospital, while I went to work as usual. I experienced distress and hung in suspense all day regarding my mother’s status. Unfortunately, the EMS workers did not take my mother to her hospital of choice, but instead went to a more crowded place. While there, hospital staff assisted her with going to the bathroom for the first two times before leaving her alone for the rest of the day. While hooked up to an IV and heart monitor, she was very uncomfortable with her pillows and bed, and was not able to get the attention of anyone to help her. She told me this when I called her to see how she was doing. Nevertheless, she reported being in good health and that she would return home the same evening. The doctors had performed numerous blood tests which reported normal results, and they told her that she basically needed to wait it out until the Clozapine was out of her system. This would take about two days. By the time my mother returned home, she was lucid but still wobbly. For the next two days, she stayed home from work to rest and recover, having received a doctor’s note from the hospital to cover the time absent from work. The big storm has passed, and now we are breathing again. Nevertheless, my mother still seems wobbly on her feet ever since she took the medication. I hope this is not a long-term condition. Although I have usually been the one suffering from side effects, with others watching on, the roles were reversed in this incident. Seeing my mother impaired caused me heartache, and I am also now rethinking my treatment regimen overall. Is this stuff good for me for the long term? Is this the only stuff that can help me, or is there an alternative? Unfortunately, I think my opportunity for an alternative to medications has long passed. As a small child, I witnessed domestic violence instigated by my father, which caused me to feel sadness and despair at a young age. I believe this experience affected my subsequent development as a person, especially regarding my sense of self-worth and confidence. Home felt like prison, I felt like trash and I had no idea how to cope with my circumstances. My depression went unnoticed by my parents, and therefore it was left unaddressed. It would have been best for me to start child psychotherapy at this point, where I could have learned coping skills and have an adult intervening in my parents’ dysfunctional relationship. My father thankfully left the home when I was eleven, but the damage on my psyche was already done. Now struggling with full-blown depression, it was only at this point that I started seeing therapists. They took on cognitive-behavioral approaches in trying to impart coping skills for me to utilize, but my thinking was too fixed to internalize any of this information. Suicidality took over, which landed me in the hospital at the age of fourteen. This was when I started taking medications, after I had been struggling for many years already. My mental health snowballed downwards over time. Although medications aided me, I still couldn’t internalize coping skills. Every medication I took would eventually stop working, and they all caused me to feel flat and disconnected from the world. At this point, my reliance on medications was solidified and there was no turning back. Attempts to go off completely only triggered relapses that left me worse off than before. Only Clozapine has rescued me from this painful cycle of disabling relapses. Regarding these imperfect circumstances, I have learned to accept my dependence on psychiatric medications. The goal for me overall is to feel happy and fulfilled in life, and I feel such with pills in my body. At the same time, I strongly do not recommend the starting of psychiatric medications if possible. As a society, we need to be observant of the people around us, willing to lend a sympathetic ear to those in our communities who are struggling. We need to spread knowledge about how people in the early stages of mental discord can identify themselves and then access resources to prevent further decline and dependence on medications. 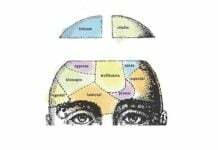 It would also help to promote a vocabulary that lends itself to a recovery-oriented mindset, opening people’s minds in adopting an alternative to medical-model principles. Instead of focusing on pathology and illness, we can embrace wellness and resiliency as goals of treatment. The therapeutic relationship can be one of mutual partnership and active problem-solving. One real-world lesson I’ve learned: my Clozapine goes somewhere far away from my mother’s vitamins. Neesa Sunar is a peer specialist employed at a housing agency in Queens, NYC. She advocates for the peer cause as a freelance writer, and has authored a book of poetry called Memories of Psychosis: Poems on the Mental Illness Experience. She currently is in graduate school for social work, and aspires to bring recovery-oriented values into the social work profession at large. On the stories about ADHD I often suggest parents try the drugs on themselves before giving them to their small children just to get a clue what they are actually doing to them. If you are going to give that 70lb 10 year old 10 mg of Ritalin and you weigh 210lbs down 30mg and see how that feels. I already know it feels just like cocaine but lasts longer for sure. If only this could be a requirement! When I was tricked into going on drugs that messed up my thinking, I contemplated how odd it was my thoughts would get screwed up without mind alterations–how pills could fix my thinking so it would CAUSE sobriety and clear headed thinking. Afterwards I discovered they were no different than street drugs and grew very incensed at the deception pushed on me. I didn’t become psychotic till I went on an SSRI either. Neesa is lucky. At least as many of us started out nervous and unhappy till we took psych drugs and went nuts. It kept me from having a career and triggered an autoimmune disease I can’t recover from. Dexedrine made me a docile angel compared to the rude loudmouth punk I was. It’s better than most side effects. And I serously was the “we tried the belt, beating, Ritalin? Lithium etc. My mom would “borrow” from the ones I had a battle and think I found out when she’s stomping the backyard at 4 am mowing the lawn while sweat drips down her sleepless, chain smoking frenzy. I’m glad to be weaning down. SSRIs “work” by blocking your natural inhibitors. If someone already acts out an SSRI will make it way worse then say a neuroleptic or something like Valium. I’m speaking entirely from the point of view of family members. Not the person forced to live in the personal Hell these drugs often create, but no one around can fully appreciate. My uncle has been a jerk since a traumatic brain injury he barely survived years ago. I talked my aunt out of putting him on an SSRI. Part of the reason Uncle B acts so badly is his filters don’t work. Totally disinhibited would NOT be an improvement. I was able to do a lot of the alternative practices for healing while medicated and eventually came off of everything. Even an antipsychotic. And a benzo and 2 mood stabilizers. If I could do it anyone could. I went through several failed withdrawals for different reasons and also thought I was stuck forever. I believe the mind and body have a great capacity to heal. But it’s not easy. What worries me is if they eventually admit these meds are terrible and then stop giving them to people. I’m seeing it happen with opiods. I wouldn’t wish the withdrawal process on my worst enemy. My only major concern is the seeming dichotomy between your knowledge that a sudden withdrawal would be disastrous and your knowledge that you could end up in that very situation if your kidney function tests are returned abnormal. So I hear you saying you need this specific medicine to survive and yet you could lose it suddenly. So I wonder why, under those circumstances, you wouldn’t realize that finding a way to slowly taper (over a period of years perhaps) wouldn’t be a really smart proactive decision since you seem to acknowledge that suddenly losing the drug would throw you into a psychosis that by your own admission no other drug would help. I’ve never had true hallucinations so to some extent I’m speculating here. I’ve had strong delusions while withdrawing from an antipsychotic but I’ve never had visual or auditory experiences that I wasn’t fully aware weren’t real, and therefore dismissible as ridiculous. And that worked for me with more or less success. But I’m a little concerned that the withdrawal symptoms you mentioned experiencing are merely that – withdrawal. It seems prudent that during a time of stability would be the ideal time to start to get off the drug, even if very very slowly, while acknowledging that withdrawal can be a long painful process in which there is another side. It also seems like someone who works as a peer specialist would be aware of alternatives like Soteria or Hearing Voices Network, and the myriad available support networks for those in your situation. I’m always afraid this kind of blog is going to reinforce to others similarly medicated that there’s no hope for them to get off the drugs. Anyway, it seems like you’ve made up your mind that you have no alternative but this drug so I wish you the best and hope that you continue to flourish on the path you’ve chosen. Good point with tapering off. I’ve tried a couple of times to taper to a lower dose, and it just doesn’t work. I tried cold turkey once, and that was bad too. I have true hope in my heart that one day I will be able to do so, but all trials thus far have not only not worked, but left me worse than I was before. Hey Neesa – see my post below. Usually attempts to reduce drugs start with too much reduction. We do have people who are in a type of tolerance, and for them we recommend microtapers of 5% or less. One schedule is 2.5% per week then wait a month. You can do this – especially if you combine it with exploration of your “symptoms” (intrusions, “delusions,” whatever you want to call them) to find out what they are trying to teach you. Until you’ve tried the 10% approach – or if that scares you – a 5% or smaller approach – then you really haven’t tried tapering. Nearly everyone I’ve talked to and seen who says they’ve tapered and “it didn’t work” has reduced by greater amounts than 10%. JanCarol, surviving antidepressants is a great and extraordinarily useful website. I didn’t fare well there because I simply was not going to reduce as slowly as was being recommended and I felt pressured to slow down to a snail’s pace. (Oh, and I am extremely resistant at being told what to do even if it’s good advice!) I should have followed that advise, and Of course, the cardiac issues that got worse around the time I did my Latuda withdrawal were in reality underlying Lyme disease. And because of the ECT, I had completely forgotten that I had been going to a cardiologist for years already when I mentioned going to the ER for heart arrhythmia (that was at the time attributed to withdrawal). Not that withdrawal didn’t likely make the underlying Lyme-related cardiac issues worse, but I really don’t regret going a little too fast. And I am so damn proud of my recent two year anniversary off all the drugs. I suppose I should do an update over there. I know the people who were advising me to slow the hell down really did mean well. Please do go and post a Success Story!!!! Often when people get better they leave, and forget to share their success – so then, when newbies arrive and ask, “will it EVER get better?” we have more stories of success to share with them. Sorry the SA snail’s pace didn’t suit you – but it’s dangerous for us to recommend anything faster (liability and all that, we are not doctors, and cannot catch people when they fall). I’m so glad that ***you*** didn’t fall and escaped into wellness! Well, there it is – mom and dad must not be narcoticized, despite their obvious shortcomings. But, their kiddos? Drug them early, shut them up, and never think twice about gambling with their futures. That double-standard is the sick moral calculus of #FAKESCIENCE psychiatry. I remember how affirming it felt for me to live with as much freedom as the average 70 year old. By then, I’d logged about 7 months off the psychiatric narcotics. There I was, twenty-something years old, and happy to live as though my life were almost over. Yet, it was a ‘YUGE improvement, compared to my years in “treatment”. My unwanted intimacy with death was my existential breaking point with #FAKESCIENCE . It was the moment when I’d reached a long-term resolve to bail on that lethal fraud. My prior “noncompliance” was driven by short-term needs – my appearance, a temp job, a diploma. But, years of psychiatry had taken their toll, and slowly exacted a long-term cost to my life. And, so, I quit psychiatry only then, once I’d borne the heaviest of burdens. I see that you like poetry. You could or rather, maybe you should read James Hillman, because he wrote about connections between psychological life and poetry. Everyone who is interested in poetry, should read “Re – Visioning psychology”. I think it is obligatory for poets and psyche defenders to read his books. Because psyche it is not a science and never will be. We are living in the era of apollonian ego cult, and that unnoticed cult actually means, a cult of psychopathy. Psyche is not a brain science. What a shame, that we are living in such a soulless dark times. We, as society, we are already in psychosis. Diagnosis can’t be a judgement. Diagnosis is an alternative to normalcy (apollonian ego). In psychological hierarchy there are simple materialists and there are also complex psychological people. This is holocaust of those who are too complex for simple material world of slacker people in easiest psychological archetypes. To defend psyche means to defend mainly the DEATH reality, non material reality. And for materialists death does exist, but only in the grave. For psychological man, for ill people death is a main reality (that is why I see them as those who are the bravest). Depression, schizophrenia, autism are not real for APOLLONIANS, because those diagnosis (psychological archetypes) represents the pathology they rejected and now they are afraid of. Cowardice (and also theology) killed psychological reality. Life is impossible without pathology, without death. Psyche does not exists without depression, schisophrenia, autism. The fixation over health, and promoting “the life without death ” model, will be the main cause of apollonian hegemony breakdown. I admit I did not understand most of that. But I love poetry. I wrote some good ones to overcome a trauma I couldn’t remember. My parents divorced when I was 2 and I know it affected me but I couldn’t perceive why until I wrote out my soul. and psychiatric, professional attitude towards psychological reality is a fallacy and has nothing to do with truth, humanity or empathy. Psyche does not need moralization or priests in disguise. Psyche needs truth and wisdom. Authoritarian mind and profession is deprived of those traits by definition,,,,,, they are completely useless agents of dehumanization for money. Control, power, money. I recommend everyone to read Hillman, because his words are words of human being. Psychiatry can’t speak humanly about psychological reality and that is the greatest evil of all. I am against psychiatrization of psychological reality. Words can cure – that is poetry. The aim of psychiatric language is to kill poetry, to kill everything which have any connections with poetry. Psychiatry is a prison for endangered species created by arrogant scientists, and James Hillman is a Ian Malcolm of psychiatric reality. Psychiatric park can not last forever..
A girlfriend of mine in the 70’s (now in her 70’s) once popped a Thorazine pill she had stumbled upon to see what it was like, and said she felt like she was dying. Not a very popular street drug, people prefer fentanyl. A lot of people who would rather not be taking psych drugs feel they have no choice because their withdrawal experience has been misinterpreted as either a rebounding of “symptoms” of whatever DSM label they’ve been branded with, or “emerging symptoms” of a different DSM label. They get chastised by the prescriber, and the chemical imbalance story gets reinforced, tightening the shackles. I would advise getting support from the Real Experts- people who have successfully tapered off the drug you’re on, so that you can benefit from their experience and gain tips they have learned so that you don’t fall into this trap. Nobody can change your mind but you– and even you can’t change your mind if you keep telling yourself the same story about your life, your self, the meanings you make of it all, as you’ve been telling it since you were a kid. It is possible to evolve into more mature thinking on that, but psych drugs do tend to inhibit this ability. I hope you claim your freedom, author. I do have hope that I can get off medications, but my attempts thus far have failed. If I could find someone who would really take me under their wing, offering rock-solid support, who accepts Medicaid health insurance, then maybe I could attempt it. Thanks for your wishes of wellness. 🙂 Much appreciated. Any Medicaid provider can be convinced that you want to seek “the lowest effective dose” and prescribe liquid so that you can do your own gentle taper. Thank you for sharing your story, Neesa. From one more person who was weaned off the antipsychotics, and survived, despite a couple bumps. I believe you are wise to question the long term consequences of taking an antipsychotic. And consider a long, slow taper – with the understanding that psychosis is a withdrawal symptom of going off the antipsychotics – since it is. But a drug withdrawal induced psychosis doesn’t last forever. You can always up the drugs again briefly, then try again. My best to you, whatever direction you choose to go. And I must say our “mental health” industry’s insane belief that drugs cure adverse childhood experiences is grotesquely misguided. I am sorry that you were subjected to a traumatic childhood, and our “mental health” industry’s silencing of the lambs, ‘quick fix,’ cover up child abuse by drugging up the survivors, theology. Best wishes to you and your mother, God bless. This is a very interesting article, and you’re a great writer. I was happy to get to a non intrusive drug combination, but over the years this became – nothing. In my recovery I found psychologist Dr Wayne W Dyers approach effective; and Eckhart Tolles philosophy is quite similar. Oprah Winfrey has regularly featured both of these Spiritual Guides on her show. By coincidence, drugs that I have been exposed to (such as Haloperidol), have also been experimentally administered to MH professionals – with disastrous results. Hey Neesa – nice writing! I can feel your mirror – of watching your mother experience what you go through every day. In his sleep, he could not get up to go to the toilet. He was trapped in his sleeping body. He railed at me: “DON’T EVER GIVE ME THIS STUFF AGAIN!” as I helped him to the toilet. Lesson learned: medical intervention (steroid shot) always comes with a price. Sadly, I would do it again, because it was the clearest way through this thing. Have you read Anatomy of an Epidemic? And understood how the neuroleptics contribute to chronicity? I am not you, I cannot change your mind about your diagnosis or your perception of your intrusions, nor can I experience your internal methods of coping with trauma. Go to http://www.survivingantidepressants.org and learn how to taper 10%. Then – taper 10%. Just 10%. Take 90% of your dose, and ride on that for awhile. When you are convinced that is okay – then – you can try another 10% (of current dose, not your total ever dose). Maybe you will wait 3-6 months between tapers to develop confidence. Maybe as you develop confidence you will increase the schedule of tapers. Maybe that will be – as Fiachra found – zero. Maybe it will be a ridiculously low amount that your doctor will scoff at – like 25 mg. Maybe a lower dose will fend off some of the horrors that the drug is exacting from your body, reducing toxicity. Maybe in the process you can make peace and come to understand better your Voices and intrusions. Many of us have found that voices and intrusions can be guiding lights, protective (even if they are sometimes, well, intrusive!). There are methods for accepting them – and it’s never too late to learn. Resist the urge to do any of this quickly or impulsively. You know from experience that is the path to symptoms returning with a vengeance. I’ll say it again: just try 90% of your current dose. See how that feels. You’ll live longer with better quality of life. And you won’t have to be afraid your mother (or brother or dog) will harm themselves with your drug, either! I’m no longer in withdrawals but seem to have developed a heck of an autoimmune disorder. Pretty discouraging. A recent round of antibiotics has made me sicker than ever. Everyone recommends a special diet. Alkaline, low carb, grain free…. Stupid. Nothing works. Can’t afford expensive, weird foods. Can barely keep my personal living space clean. Need almost 12 hours bed rest to function at all. Hey Rachel – I reckon time will help. 2. You are still less than 3 years out from your last dose. Those of us who are longer out from last dose – find incremental improvements. I don’t think one ever gets to 100% because of – life and aging. I think in the first year you get huge gains – you get your mind back, and start to deal with the physical toll (amazing how the drugs cover this up). After that first big gain, the recovery rate slows, and the increments are smaller, and you have to work harder for them. Any dietary changes need to be for at least 4-5 weeks to “see a difference,” though some say they start to get results faster with Ketogenic diets and intermittent fasting (autophagy). Dr. Ken D. Berry from Tennessee has an extensive YouTube site about how to do it cheaply and easily. But you will get better – you will hack the autoimmune thing and find what works for you – and you will find ways to get better, get more active, get more sunlight and social contact, and gradually you will get better. No. When I’m not too exhausted from Candida infections I can feel joy again. Even my painful sensations–like guilt and sadness for other people–make me more fun to be around. Owning responsibility and empathy are good qualities psychiatry put to sleep in me. My dad has cancer. I know he’ll be glad to find out I’m not hopelessly insane after all. And I don’t need drugs to function. They prevented me from loving others as fully as possible. Maybe the pain and exhaustion are my body’s attempt to heal itself. But I can only fully feel them now. Most folks on cocktails can only function at what the ME/FM/CFDS sufferers call a level 50 on the “energy envelope” spectrum. So I wasn’t capable of a full time job since age 24 after three years on my cocktail and six on at least one psych drug. I am sure you speak from experience, being a leader on the surviving antidepressants board. Can I add one thing? Mainly because these are public message boards and I fear that any dietary recommendation might be misinterpreted by someone randomly stopping by, hoping for answers. While intermittent fasting and “keto” is great for some, both of these are disastrous for anyone who has been through an eating disorder. My eating disorder was started because I went on a diet similar to the “keto” diet, 1980 version. I had no history of ED, and wasn’t depressed and didn’t even know what a fashion magazine was. One thing, though, my mother had survived anorexia when she was a teen and had fully recovered. There was also nothing in my family history such as sexual abuse that might have been a stereotypical predictor of ED. It has been years and I have come to realize (as many of us have!) that the diet itself caused the ED. This has in fact been proven to happen to SOME people who go on drastic diets. I would also include any type of fasting (except whatever people do for their religious duties) as causative for ED. The diet literally causes a cycle that is very hard to break, and sometimes lasts for years or even decades. If anyone is recovering from psychiatry and recovering from drugging, I would avoid mucking around with restrictive diets if you have any history of ED, because doing so could rekindle your ED. You do not want that nightmare back into your life. I agree! In general diets are disastrous! I thought I made it clear that “SOME say they get results faster with Keto and intermittent fasting” – perhaps I should emphasise the SOME and add YMMV? I have not been able to adopt full ketogenic personally, but have greatly benefitted from adding more healthy fats to my diet. I keep hoping that it will naturally help me reduce carbs without being restrictive. I have managed to do one day a week of intermittent fasting, again, not restrictive, just an eating window one day a week. JanCarol, By all means, YES to increased healthy fats! I don’t know when the “low fat” trend started but it has been in part to blame for many dietary disasters, including being the primary cause of ED for SOME people. Although I hesitate to make any recommendations online (or to anyone at this point) because people tend to grossly misinterpret whatever they read or otherwise pick up from such sources, I might make a general statement about healthy fats! Increasing my use of healthy fats (no, “vegetable oil” isn’t one of them) helped me cure my ED. This was likely the #1 change in my diet that stopped binge eating in its tracks for me. I learned this not from a doctor, not even from reading “studies” or from medically-derived material, but actually by intensive self-experimentation that started as soon as I began to depart from the System. First of all, common dieting knowledge told me that consuming fat will lower my appetite. Generally, restaurants know this. Look at the appetizers restaurants freely give to customers. Rarely do they give out nuts or anything fatty. They want you hungry, not satiated! More likely, they’ll whet the customers’ appetites by serving salty chips with a mustardy dip or salsa. Eating nuts will satiate a person. I don’t know why, but this was one of my little anorexic “tricks” I knew for decades. This is due to the fat content. The diet industry was revisiting this idea and marketing new products to people around 2010-2013 at the time in the form of pine nut oil. I was desperate to try anything to stop binge eating so I tried it and found it helpful. While pine nut oil WILL help SOME people (I tended to use 1/2 tsp before each meal, knowing that after the meal was my primary binge risk time) it’s also true that less expensive healthy fats will “work” just as well. You bet people figured that out! At that point, expensive pine nut oil lost its appeal. I believe it was Dave Ausprey who came out with his own brand of Bulletproof oil. People rave over that stuff. I believe, though, that any decent quality MHT oil is equally valuable for less money. I consume an array of healthy fats each day, which may include various types of nuts (unsalted, unprocessed, often those I take out of the shell myself), good quality olive oil (for certain sauces and general use), lots of ghee, MHT oil, pure sesame oil for flavoring, sometimes coconut oil (for sauteing), red palm oil (for baking), and likely others. I’m a little fussy over which types of nuts I buy since some are more recommended than others when one has kidney disease, which I have from lithium. I usually buy these in bulk, in large bags I store in the fridge. They DO have a shelf life. Now and then I purchase about $50 worth of them (again, unsalted, uncoated, not glazed or seasoned, not roasted because often these companies often roast the nuts in unhealthy oils and chemicals) and have them delivered. I should also add that I don’t hesitate to eat “carbs.” I eat a LOT of carbs now. I make my own no-salt bread and I spread ghee on it. I eat plain pasta and I put no-salt homemade sauce and olive oil on it, lots of veggies (these are mostly water and carbs with some nutrients such as vitamins and minerals, too!) and also many whole grains (again, carbs!) including buckwheat, millet, even popcorn with healthy oil dribbled over it. I try to reduce protein considerably since my kidneys can’t clear it easily and consuming too much of it will raise my creatinine. I sure didn’t learn that from a doctor. I studied like mad, experimented, and figured out on my own what I need. It’s just an awful disease – the disease itself is hell, gray matter loss, cognitive loss, negative symptoms, etc. Then the treatment comes which turns out to relieve only part of the symptoms by so huge price. You sleep a lot, work jobs which are probably below your intellectual level and people hate you. It’s just awful. Good to hear that you hold on. What “disease” are you talking about? At 1st glance I thought he was talking about KS’s Lyme disease, but that doesn’t seem to have been mentioned. Probably hasn’t heard about those reports establishing brain deterioration of the “mentally ill” is caused by the “treatments.” A mainstream psychiatrist conducted and published these reports, but you won’t see them on TV or NAMI pamphlets. So many are ignorant of them. It sounded like the comment might be alluding to a “mental illness,” hence the quotation marks. I did not want to assume, though, so I asked. If it’s Lyme, the quotation marks I put around “disease” should be struck, of course, because that’s an actual, biological disease. But KS didn’t mention her Lyme here- that’s in the comments on a different article. Igor – “schizophrenia” is not a disease but a cluster of symptoms around profound distress. There are many methods for opening the gates, building bridges to these intense places of distress that actually heal the distress. “Schizophrenia” does not cause loss of brain matter – the treatments – drugs, ECT – do. 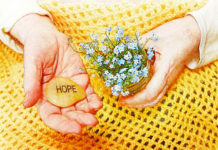 Further, the drugs only suppress the distress – meaning it is not resolved. I am saddened to read this. I note in your comments, Neesa, that you started off suicidal and then got put on drugs and it was all downhill from then on. This is not an uncommon story. I know others who are afraid to get off the drugs because of a return of voices or whatever. I think JanCarol’s observations are very important. I have read that very serious dependency on drugs requires an extremely slow taper, possibly at a rate of 2% instead of the 10% many people try. I am concerned about your health. I suppose because my boyfriend, whom I dated 17 years, was on Clozaril, took it as prescribed, was “stabilized” on it, kept his appointments faithfully, and died at the age of 45. No, not suicide. His heart couldn’t take it anymore. It was sudden. I had heard him struggling to breathe at night, coughing from congestion, rolling over as if doing so would somehow ease the strain on his heart just to keep pumping. The drug had caused weight gain, made it impossible to quit smoking, lowered his resistance to infection, and was combined with Prolisec and Ditropan, which I hear cause additional risks. He was given Trilafon and Prozac on top of all that, and the thyroid pill (since he was a lithium survivor like me). We both had diabetes insipidus from past lithium use. After he died, I asked why he was taken. Why was I not taken? He was the better one, the wiser one, the one that the kids loved so much (he had about 38 nieces and nephews). Why Joe? Why? Can’t we just trade places? Nothing would bring him back. It was 2003. The next year, the Sox won the Series and I remember I cried over that, too. Why couldn’t he be alive to see this? We knew so little back then. I shudder to recall my own ignorance and naivete. We walk a tightrope, and sometimes, we don’t even know we’re on it. So scared now hearing this. I snore at night, cough in my sleep sometimes. I am seeing my psychiatrist tomorrow. I can mention it to her now. Thanks for bringing this to light. Neesa, my hat goes off to you. I have taken a “cocktail” of 3-4 psych drugs for almost 22 years. No way I could do what you do on yours. In my own case I knew my psychiatrist would not let me do what I wanted. Which was go off my drugs altogether. So, when my parents took up homesteading in retirement I left with them and tapered off my drugs–one after another–for 16 months. I should have allowed myself at least 2 years. No one knows about my SMI diagnosis except my parents and they’re coming around. I tell folks I meet I’m recovering from CFIDS and am living with my folks on disability. My own mom has gone on Cymbalta and Celexa. At least her doctor took her off the latter. (Way too fast!) I noticed how sluggish and apathetic she has become. Dr. Goetzhe says people over 65 taking psychotropics have a very high mortality rate. I need to tell her I’m off mine and offer her advice on coming off Cymbalta. Cymbalta is especially evil, in that it hammers a lot of receptors. Please be careful. The CT’s from Cymbalta I’ve seen are especially damaging – if I were to choose a strong candidate for s-l-o-w tapering, that would be one. I’m glad to hear that your recovery is inspiring your parents to think differently! In which case Mom will do better with SA than she would most doctors. Assuming they’d work with her. Most will if they’re not shrinks and you’re not labeled SMI.